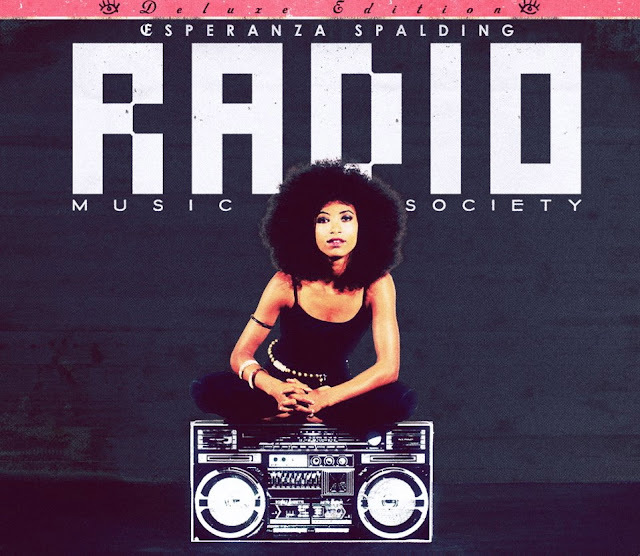 This fantastic live concert footage is from the Verucchio Festival in Rimini Italy, where Esperanza Spalding and her project known as Radio Music Society performed the song from Michael Jackson's Off The Wall album titled "I Can't Help It". The song, originally written by Stevie Wonder and Susaye Greene-Browne, is one more deep jazz take by Spalding as she be-bops & scats a 3 minute intro trading with Tia Fuller on sax before breaking into the song with Spalding's angelic voice while simultaneously laying down some very tasty & funky bass lines while backed by an incredible band. This is that "it" thing all around... inspired giftedness at it's finest!